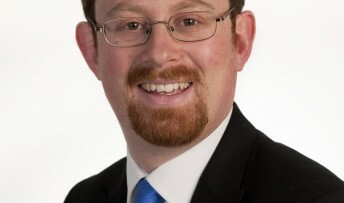 MP Julian Huppert, who has been campaigning for lower energy bills for Cambridge residents, has welcomed moves to make energy companies legally obliged to give their customers the best deals. His efforts to get fairer energy tariffs for his constituents have been praised as the “type of consumer support measures so welcome by ordinary people” which “create goodwill”. Julian has supported schemes such as The Big Switch which encourages and helps customers to find better energy deals and encourages energy providers to offer more competitive tariffs. He said moves to bring forward legislation in the forthcoming Energy Bill to help consumers finding the best deal is an important step forward but safeguards need to be put in place which will prevent energy companies raising their lowest tariffs. “These type of consumer support measures are so welcome by ordinary people, and they create goodwill so thank you,” another constituent said. Julian said: “The Lib Dems have already begun to introduce reforms and improvements to help households find the lowest tariffs available to them. And we have an agreement with energy providers to provide information on bills to indicate if a customer is on the cheapest tariff which is an important step. “The new legislation in the Energy Bill, to make it a legal requirement for companies to give their customers the best deal is welcome but we must have further safeguards in place to make sure companies don’t simply raise their lowest tariffs. residents, has welcomed moves to make energy companies legally obliged to give their customers the best deals.